Plans of private and public private companies for new coal plants in Greece have been abandoned thanks to citizens' mobilization and strong advocacy for alternative sources of energy and power saving measures. In July 2007 the Ministry of Environment, Spatial Planning and Public Works published the General Spatial Planning and Sustainable Development Framework. In the “Energy Section” there were no plans for the creation of coal power plants. In contrary, one month later (8/2007) in the "1st report on the long-term energy planning of Greece, 2008-2020", issued by the Ministry of Development, power generation from coal is foreseen to range in a percentage between 5,6 % and 21 %, till 2020 [1,2]. Earlier, investment groups expressed strong interest for the creation of coal power plants, by submitting requests to the Regulatory Authority for Energy (RAE). 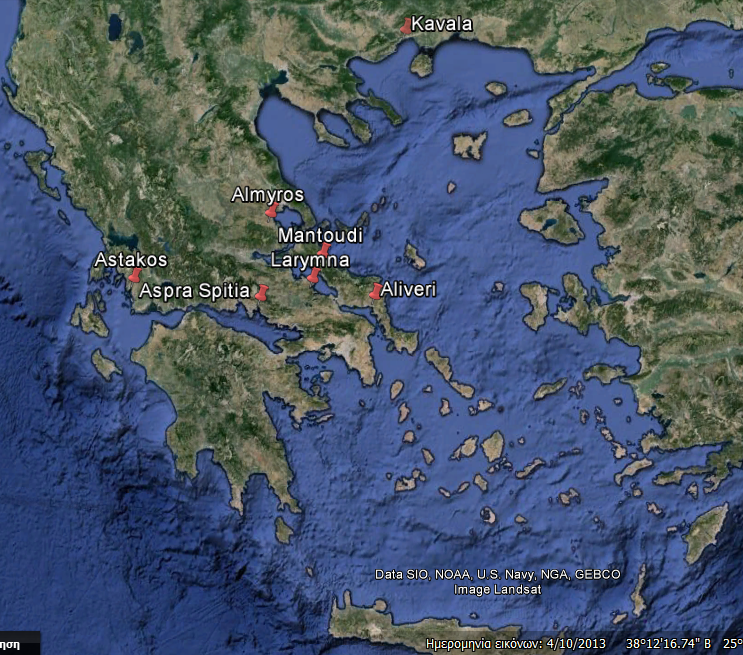 The requests concerned five power plants in different areas in Greece (460MW and 800 MW in Evia; 600MW in Viotia; 600MW in Aitoloakarnania; 800MW in Fthiotida; 1600MW in Kavala or in Magnisia or in Evros). The main characteristic of these areas was that they were already environmentally degraded, as other polluting activities were already located there. In the begging of January 2008, citizens and grassroot groups from Evia, Viotia, Aitoloakarnania, Kavala, Magnisia and Evros met for exploring the possibilities of reaction to the investment plants. A second meeting was held, where the creation of a nationwide collaboration network with the participation of stakeholders and citizens movements was decided. “Citizens against coal” started working collectively, organizing their struggle against the government’s plans [3,1]. 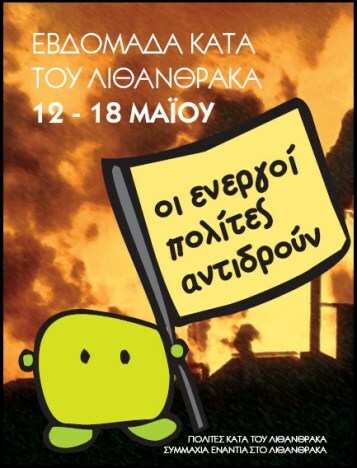 At the same time, WWF Hellas created the “Coalition against coal”, with the participation of the municipalities concerned, following the invitation to participate in a workshop organized by the Municipalities of Mantoudi and Kyreos. 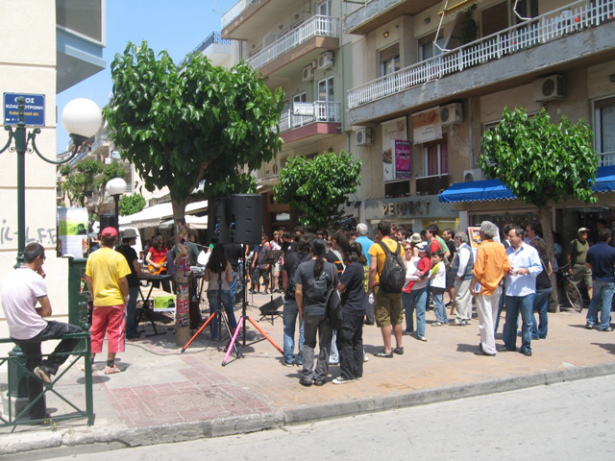 The NGO noticed the great interest and opposition expressed by stakeholders and citizens and took the initiative. However, citizens expressed different views on the mainstream NGOs positions and actions on the issue [4, 3]. Both initiatives (Citizens against coal and Coalition against coal) organized various events, information workshop and demonstrations and they worked in parallel on the issue, although their organizational structures were different. 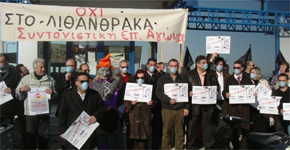 Citizens Against Coal organized nationwide assemblies, with the participation of representatives from the stakeholders and grassroots in order to coordinate their actions . 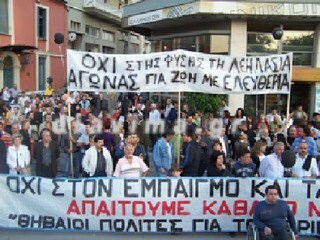 One of the most important actions was the encirclement of Korinthiakos gulf in February 2008. 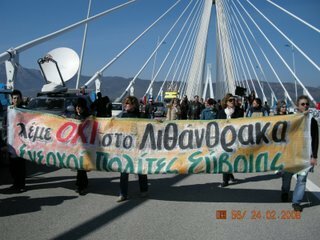 Citizens and movements from the wider area of Korinthiakos, as well as from other areas of Greece, formed a symbolic human chain, asking for protection of the environment and human activities (fishing, etc.) against the mega energy projects . They launched press releases and they organized workshops providing information to the general public on the nationwide energy planning and the government and multinational manipulations, the effects of the use of coal on environment and society, the climate change and the international developments on the issue, as well as on the available alternatives (renewable energy sources). Political parties opposed to the governmental energy plans by submitting questions in the parliament and participating in citizens movements’ actions. In the areas where the energy plants were planned by Public Power Corporation and RWE, information were provided on the struggle of the Endsorf citizens (Germany) who managed to stop the construction of a similar power plant in their area [11 ]. Public Power Corporation employees were also involved in the struggle, but they mainly objected to the cooperation of the company with RWE. In April 2008, following the strong reactions, Public Power Corporation announced the change of the plans for the energy coal power plants in Kavala and Mantoudi, but the rest of the plans stayed untouched . Public Power Corporation and RWE announced the transfer of the energy plant in Albania. 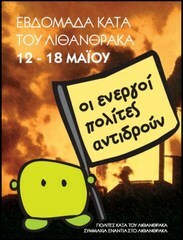 A “Week against coal” was organized from 12 to 18 of May 2008, comprising press conferences, information events and demonstrations all over Greece and in big cities (Athens and Thessaloniki). In some areas, schools participated also in the week events, organizing information workshops and presented projects on the issue [13,14]. 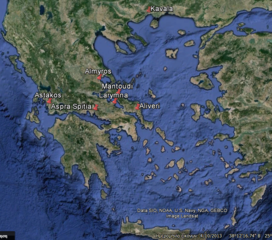 At the same time, an internet campaign and an online petition were launched asking from the Greek government to change its energy generation plans and exclude coal . Online petitions concerning specific areas were also launched by local groups. 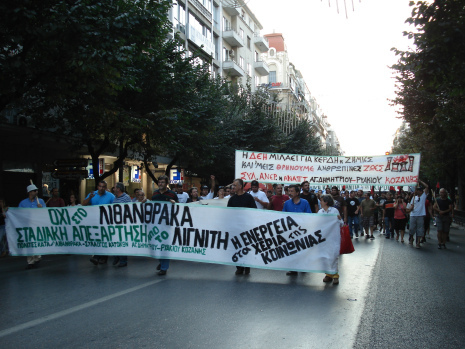 In September 2008, an “energy march” was organized in the framework of the demonstration traditionally organized during the Thessaloniki International Fair. 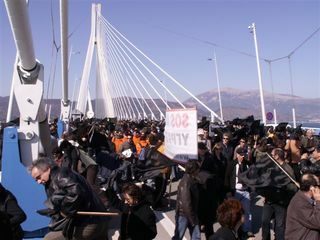 In the “energy march” citizens and movements from the West Macedonia, where coal plants are in operations, participated. 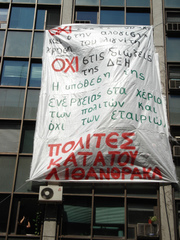 Some days before the march, a symbolic occupation of DEI premises in Thessaloniki took place [16,17 ] In November 2008, a three days energy workshop was organized with the participation of civil society representatives form Ensdorf, Germany. In Ensdorf, civil society movement managed to cancel the creation of a RWE energy plant. The conference was very important for the Greek movement, as people from Greece and Germany had the opportunity to exchange views and experiences. In addition to this, presentations on alternative energy sources and plants and climate change issues contributed to the better documentation on the issue [18,19]. 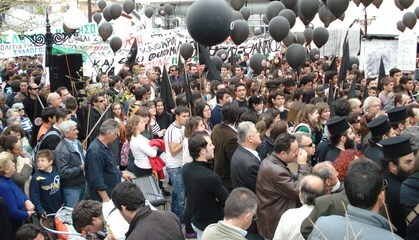 In February 2009, the Minister of Development announced the beginning of a nationwide debate on the country’s energy mix with the participation of political parties and environmental NGOs and he assured that the government wouldn’t proceed to the construction of coal units but will work on alternative power generation plans, emphasizing on natural gas and renewable energy sources. In March 2009, the elaboration of a new energy planning was announced. The new plan gave priority to the development of renewable energy sources, but it didn't strongly reject the potential of coal power plants, if the needs of energy exceeded the production. [20,21] Citizens against coal continued their action, emphasizing in energy issues, energy generation privatization processes and in problems of other areas of Greece where lignite power plants were operating, hydroelectric plants were planned, etc. 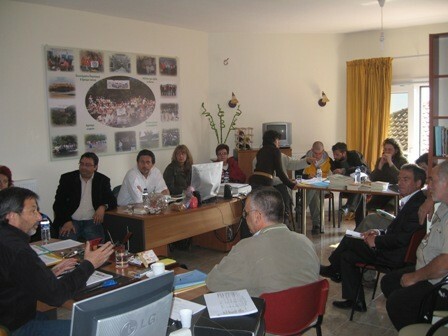 Magnesia’s environmental initiative; Aliveri’s association for the protection of the environment; Voiotia’s alignment for the environment; Kavala’s coordination struggle committee. Development of Alternatives Civil society groups involved in the struggle promoted the concept of energy saving and energy generation by Renewable Energy Sources by organizing information events on alternatives and on climate change issues. Why? Explain briefly. It was a successful civil society movements’ struggle, as the withdrawal of the plans for the construction of coal energy generation plans by the government was mainly due to the people’s reaction. 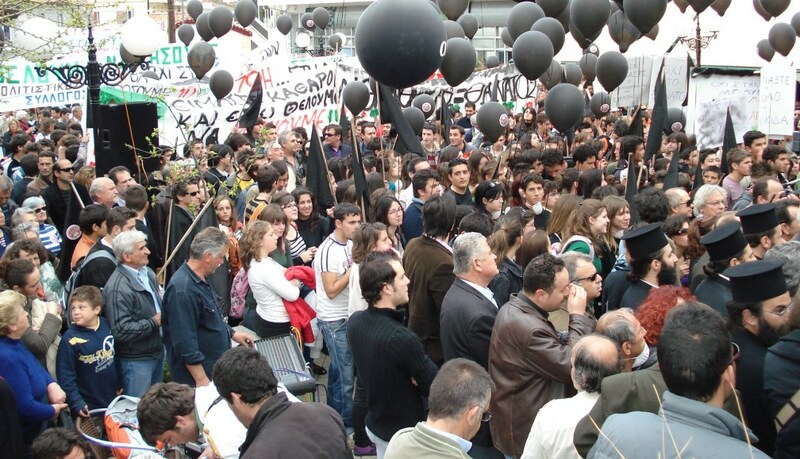 Citizens against coal, 2008, Local communities have spoken. Now what?